The assets sold include the 27.3-MWp Daisen-cho plant, the 2.1-MWp Ena-shi plant and the 1-MWp Takayama-shi plant for a total capacity of 30.4 MWp. Canadian Solar (NASDAQ:CSIQ) announced on Thursday (September 6) that it has sold three solar power plants to the Canadian Solar Infrastructure Fund (CSIF) in Japan. With the latest acquisition, CSIF’s portfolio increases to 105.6 MWp from 75.2 MWp. The Japanese-based company also completed a second public offering of 46,667 units to fund the latest drop down from Canadian Solar. “This is another example of our successful global asset monetization strategy, which is the foundation for building greater value for Canadian Solar and all shareholders,” Shawn Qu, CEO of Canadian Solar, said in the release. It was noted that the plants have been operational since 2017. The electricity generated from these plants is sold under 20-year feed in tariff contracts at JPY40 kWh for the Daisen-cho plant, JPY32 kWh for the Ena-shi plant and the Takayama -shi plant. While CSIF’s total assets under management stands at US$427.4 million, Canadian Solar expects to maintain 15 percent ownership in the firm. Meanwhile, the company said in a separate release that it is still assessing the “going-private” transaction which was proposed by Qu in December 2017. The board of Canadian Solar said that a special committee formed for this purpose has given Qu and his potential partners until the end of September to perform their due diligence on the company. 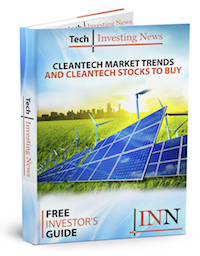 Following the announcements on Thursday, shares of Canadian Solar were up 1.26 percent were trading at US$14.50 as of 12.48 p.m. EST on Friday (September 7). The stock has a “Buy” ranking on TradingView with 13 verticals in favor, 10 neutral and three against. On TipRanks, the stock has a “Moderate Buy” ranking with an analyst target price of US$17 which is 18.72 percent upside from the current price.